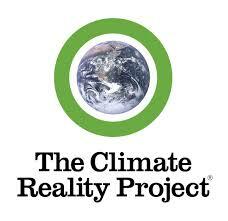 A couple of weeks after having been accepted as Organizational Development Specialist by VSO Cambodia, I received a notification that The Climate Reality Project will be conferring to me the first Luntiang Dahon Climate Leadership Award. It came as a huge surprise because awards are not something I really think about. Working in the environment sector since 2001 and being an active member of TCRP since 2011, I never thought that my efforts would be given any recognition since I don’t do what I do for recognition anyway. The Climate Reality Project Climate Leadership Awards were given to outstanding groups and individuals recognized by CRP Philippines in celebration of its first anniversary on March 16 and Earth Day on April 22. The awarding ceremony was conducted at the Philippine Senate on April 21. Tags: Atty Allen S. Quimpo, award, climate hope, climate leadership, earth, Haiyan, Kya Myke Magalang, Pusyon Kinaiyahan, recognition, The Climate Reality Project, volunteer, walk the talk | Permalink. Tags: ALETHEIA, Freedom Day, Gamot Cogon School, ILECO, Iloilo, Jim Sharman, Joseph Solar, Nicanor Perlas, off grid, Peak Power, renewable energy, Steiner School, Tessa Jalandoni, Toni, walk the talk, wind turbine, Zarraga | Permalink.